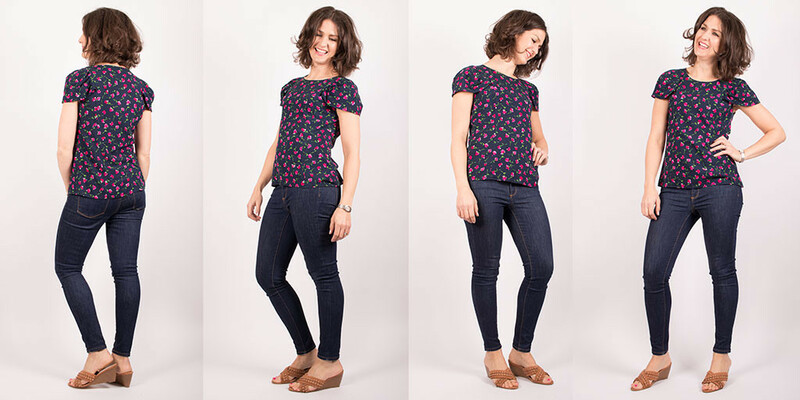 This week I'm pleased to bring you my latest make - a crepe de chine blouse. I thoroughly enjoyed working with the fabric and adapting the pattern to my liking not to mention adding another leopard print garment to my wardrobe. I mean a girl can never have enough leopard print, can she?! This entry was posted in Makes on December 14, 2018 by Sew Essential. As soon as this delicious mustard (ok saffron, but I keep calling it mustard) John Kaldor peaseblossom fabric landed at Sew Essential HQ I knew I had to make something with it. There is just something about mustard in the Autumn that I find comforting. Weird? Probably. In fact I never really wear yellow at any other time of year, but in the Autumn I'm all about my mustard jumper or my mustard striped T, both of which were worn whilst sewing the mustard coloured dress. Besides the glorious colour I knew the quality of this lightweight crepe would be second to none. I mean you just can't go wrong with John Kaldor. This entry was posted in Makes on October 26, 2018 by Sew Essential. One trend that could not have passed me by this year is the paperbag waist - on shorts, trousers and skirts everywhere. I love the nod to the 90s (my hey day) and it seemed like a very wearable trend. Whilst pondering all things paperbag I simultaneously spotted the need for more shorts for my winter sun holiday in October. Then I remembered a new Simplicity pattern release I shared on Instagram stories a while back, which would have this trend all wrapped up. This entry was posted in Makes on August 24, 2018 by Sew Essential. I don't know about you, but this incredible summer has made me realise I need more summer dresses in my life! I wanted something cool, loose fitting and pretty to wear so decided to sew this simple slip dress. This entry was posted in Makes on August 10, 2018 by Sew Essential. 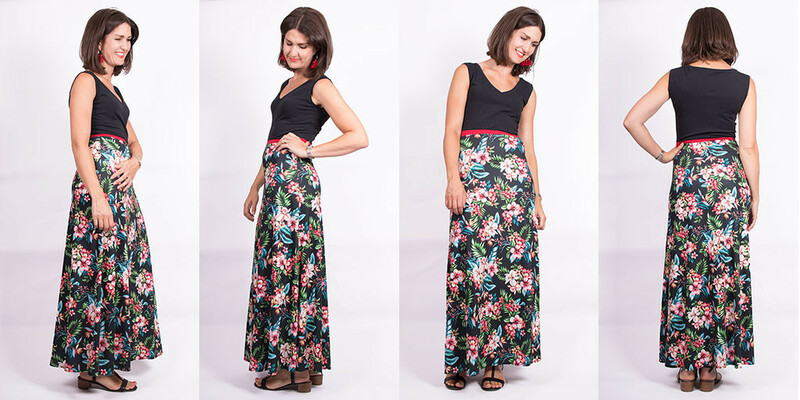 I decided to sew this tropical maxi dress after a battle with my last make that resulted in an unfinished project. I will go back to it when I can face it again, but in the meantime I needed a palette cleanser! This was just the ticket and perfect for the gorgeous weather we are experiencing in the UK right now. This entry was posted in Makes on July 13, 2018 by Sew Essential. I've been meaning to sew a wrap dress forever and I finally got around to it. Whilst looking for inspiration I stumbled across a lovely ready to wear dress and instantly knew Simplicity 8608 was just the ticket. This entry was posted in Makes on June 5, 2018 by Sew Essential. It seems like Spring might just actually be here and I need something to wear! I have been so used to fumbling around in the dark to grab ANOTHER jumper each morning that I hadn't actually thought about what I might wear if the sun finally made an appearance. Well apparently there is a distinct shortage on the short sleeved top front. In other words the perfect excuse to make another item on my #makenine list - the Pendrell blouse by Sewaholic. I made it in our gorgeously pretty and drapey new viscose fabric and I love it! This entry was posted in Makes on May 4, 2018 by Sew Essential.